I know some of you are thinking it’s way to early for Christmas. While I do agree with you and I have put out my fun fall decorations and I’m waiting until after Thanksgiving to put up my Christmas stuff. However I do know that this time of the year calendars fill up fast so I wanted to give you the dates of my annual “Crazy for Christmas” stamp Camp. This is my favorite event of the year when I will have lots of fun Christmas gift project you can make for friends, family, neighbors and co-workers. I’m still working on all the projects, but here’s a sneak peek of one of my favorites so far. 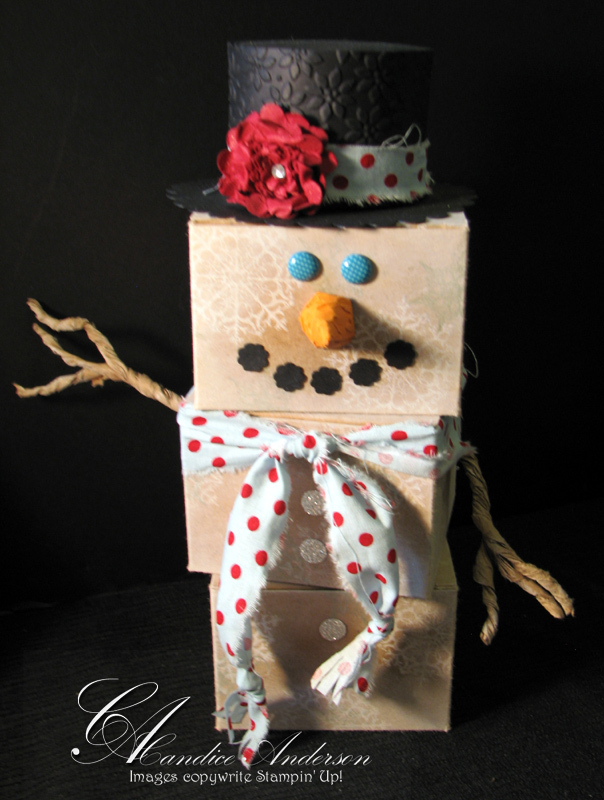 This cute snowman is made with our cookie boxes. Each box can still be opened so you can fill them with fun cookies (our cookie press make this so easy) or other treats. Then when the treats are gone they will still have a cute snowman for their home. This is just one of the many fun projects I will have to make so mark your calendars and plan to come. Be watching for more info. on all the projects or better yet visit me at Novemberfest Thanksgiving weekend at Logan Rec Center to see them in person. 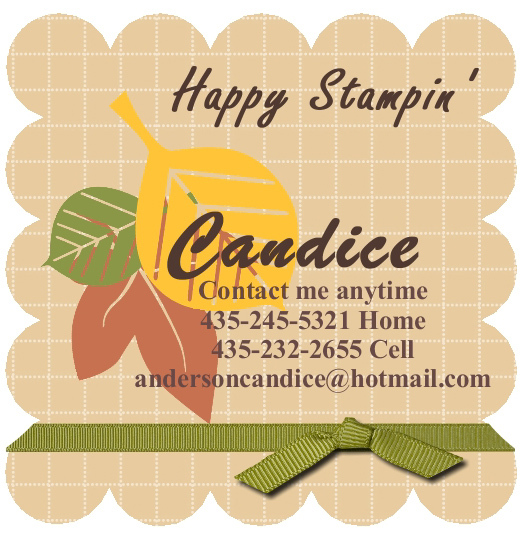 Watch for more details on projects and prices.